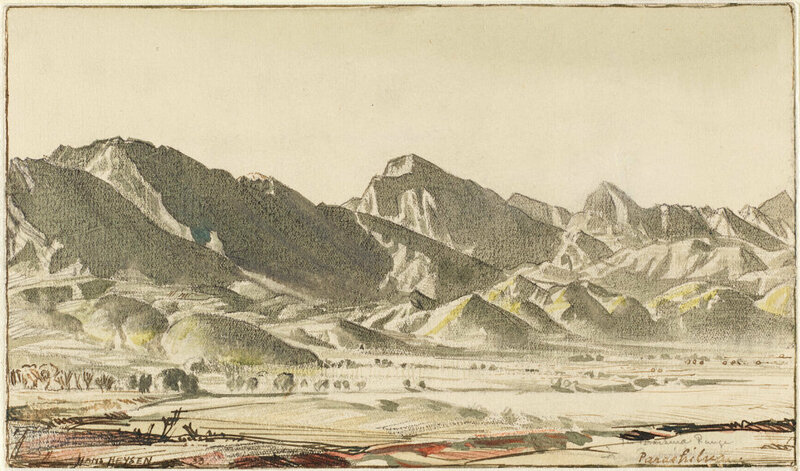 Signed and dated l.l., pen and black ink "HANS HEYSEN 33. 33.". Art Gallery of New South Wales, (Hans Heysen Drawings) , Sydney, 1943. catalogue no: 19. Entry as "ink wash over pencil 8x4 3/4, 1933"
Bernard William Smith, Untitled . Entry as "Flinders Range at Parachilna, drawn in 1933"